St. Lucia is the sort of island that travellers to the Caribbean dream about, a small, tropical gem that is still relatively unknown. One of the Windward Islands, it is located midway down the Eastern Caribbean chain, between Martinique and St. Vincent. 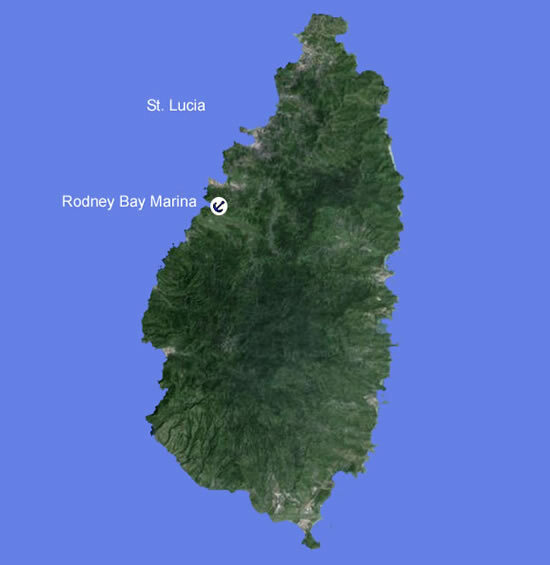 St. Lucia is only 27 miles long and 14 miles wide, with a shape that is said to resemble either a mango or an avocado. The Atlantic Ocean kisses its eastern shore, while the beaches of the west coast owe their beauty to the calm Caribbean Sea. Its dramatic twin coastal peaks, the Pitons, soar 2,000 feet up from the sea, sheltering magnificent rain forests where wild orchids, giant ferns, and birds of paradise flourish. Brilliantly-plumed tropical birds abound, including endangered species like the indigenous St. Lucia parrot. The rainforest is broken only by verdant fields and orchards of banana, coconut, mango, and papaya trees. The island's steep coastlines and lovely reefs offer excellent snorkeling and scuba diving. The island also possesses excellent facilities for golf, tennis, sailing, and a host of other leisure pursuits. Not to be missed is St. Lucia's Soufriere volcano, the world's only drive-in volcanic crater. ST LUCIA BAREBOAT CHARTERS - The ultimate in privacy & freedom, bareboat rentals are for groups having their own qualified skipper. Hiring a captain and or hostess/cook always remains an option. For a list of our available Bareboat yachts, please Click Here. 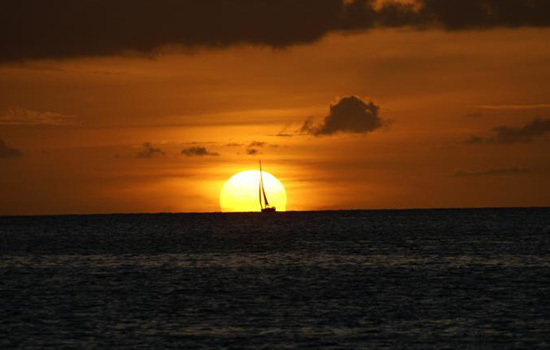 A St. Lucia sailing itinerary has many possibilities. You could spend the entire week in St. Lucia waters to enjoy leisurely sails and sojourns ashore to shop, sightsee, and sample gourmet fare in upscale restaurants. Island Description & Information: For a useful description of each of the islands and their main attributes.